This dress is AMAZING! It is suitable to every body shape and size and you can make so many different styles. I wear a women's size 16 pants and this dress still had plenty of room! I was so worried about ordering it and it being too small but I'm so glad I took the chance! Shipping time was EXCELLENT! Thanks so much!! Purchased these for our bridesmaids. I can't say enough great things about these dresses. Our girls looked gorgeous and were very comfortable. Couldn't have asked for better dresses. Would recommend over and over for a comfortable, affordable option! We were amazed how FAST these got to us as well! The dress is very well made fits very well. This is the second dress I have bought from Millybridal UK and I am very pleased. I have bought multiple items other then the dresses and everything I have received has been high quality with great prices. 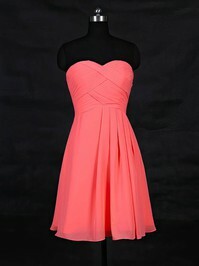 The material is of good quality and the dress came in the dimensions specified. The material on the chest area was a bit loose but it is easily tailored. I'm satisfied with my purchase. After reading all the reviews not only on this dress but others, I felt at peace about ordering a dress from Millybridal UK. After receiving the dress and trying it on, I am very glad to say that it is exactly what is displayed! I LOVE IT!!! Ordered this dress custom made in the color grape 30days ago and today it's here!!! Outstanding color and in good quality. One thing for sure is that this is not the last time I order from here. Thank you soo much Millybridal UK. I'm so happy! Sorry about the bad photo quality. I have to say I was pleasantly surprised how well my dress turned out. I know there were some concerns with my measurements, but the dress is perfect. Thank you!